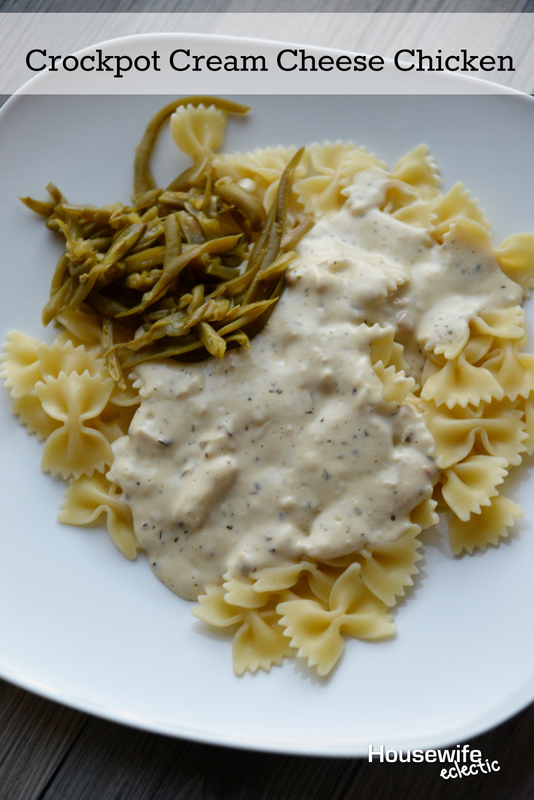 If you are looking for a good crock pot meal, this is it. Almost everyone I know has some sort of version of this but here is our take on it. We make it for new people all the time and always get rave reviews. Clean Chicken. Melt butter. Pour into crock-pot. Add water, Italian salad dressing mix and 1 tsp. Italian Seasoning. Mix well. Add chicken and coat with mixture. Put lid on and cook on low for 2 to 3 hours or until done. Remove chicken and cut into bite-size pieces. Set chicken aside. Soften cream cheese. Mix in soup, milk, and 2 tsp. Italian seasoning. Stir until smooth. (Warm in microwave for 2 minutes to help get mixture smooth) Add to the sauce that is in the crock-pot and mix well. Add chicken and stir. Cook 1 hour on low. Cook pasta and serve with the chicken sauce. The recipe calls for four chicken breasts but you can do more or less if you want. I have also used two cans of cream of chicken soup instead of one so the recipe feeds more people and it doesn’t taste any different. So that part is up to you. You can serve this on any pasta but my husband is convinced that it isn’t perfect unless it is on bowties. This is my 7-year-old’s FAVORITE dinner! No problem! 🙂 I hope you like it! chicken, cream of cheese, can of cream of mushroom and italian dressing package mix. combine in crock pot and cook for six hours. put over noodles. delicious! A friend of mine just gave me this recipe and I made it on Sunday. Orion wanted to make it with rice, but we have leftovers and I am def serving with noodles maybe tonight…..it is way yummy! And your picture is amazing.